Few propositions in film scholarship inspire as much controversy as the so-called "auteur theory," which holds that a film's director imbues the work with its strongest and most identifiable creative influence. Some consider this notion laughably implausible; others consider it untouchably self-evident. But even if you don't fully buy into this auteur-centrism — and it can't hurt to throw down a fistful of salt before the entire edifice of film theory — you can still use it as a helpful tool to navigate the realm of cinema, especially if most of it remains terra incoginta to you. Say you happen onto a movie you enjoy — Full Metal Jacket, for instance — and find out it was directed by a certain Stanley Kubrick. You could then do much worse for additional viewing material than to watch everything else the man ever directed. As for accompaniment in this cultural journey, you could do much worse than Rudie Obias and West Anthony, hosts of The Auteurcast. Taking one filmmaker at a time, they watch and discuss every movie that filmmaker has made. Of course they've covered Stanley Kubrick: you can listen to their conversation on Full Metal Jacket right above, and I myself joined them as a guest when they talked about A Clockwork Orange. Having put out 136 episodes so far, Obias and Anthony have recently made their way to two auteurs as seemingly on the opposite ends of a spectrum (though exactly what spectrum, I can't say for sure) as James Cameron, he of Titanic and Avatar, and Paul Thomas Anderson, he of Magnolia, There Will Be Blood, and (to be discussed in an upcoming episode) The Master. 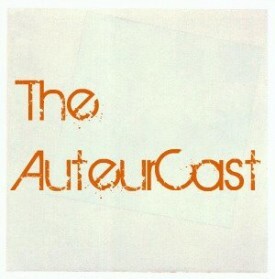 To catch up on The Auteurcast as you catch up on cinema itself, you can download all of their past episodes as a torrent, then subscribe via RSS or iTunes. as to you this film? film about a young girl, actress by name Emili Mur which is stolen by a maniac in a mask. Emili after a theft abandons noisy New York and leaves on the Mediterranean island with a husband by Robert, which works as a psychologist. But idyllic solitude of this paradise now serves as a trap, when a young and attractive girl appears next to a pair.